A typical Shenandoah County bank barn. It’s a good albeit dreary day in Shenandoah County! Hope this finds you well. A few things are happening that are worth sharing. From Swover Creek’s announcement: “John Adamson will speak about Historic Barns of Shenandoah County. Artist Sally Veach will have some of her barn painting on display and for sale. We will have Historical Trivia with Zach Hottel the Archivist for Shen. Co. library. Also, hay bale circle - barn experiences story telling. Swover Creek Farms will donate $1.00 for every pizza sold on March 31. Come out and support our heritage. The paintings below will be selected among for the gallery’s Friends from Social Media exhibition, March 20- April 23, 2019. Reception: Friday 22 March 6-8 pm. From Thomas Dean’s website: Recognizing the importance of social networking in our lives today, Thomas Deans Fine Art presents a social network show, paintings by a diverse group of North-American artists brought together for the exhibition primarily through Instagram. Approximately a dozen established artists will participate in this beautiful and diverse exhibition. These two paintings will be in the Clay Arthur’s Ameriprise Financial Services Barns of the Valley exhibit, 140 East King Street, Strasburg, VA through May. Join VECCA, John Adamson of the Shenandoah County Historical Society, and I tomorrow evening for a wonderful barn and farm art show by VECCA members. Thursday, February 7, 5-7 PM at 7 East Gallery, 123 S. Main St, Woodstock, Virginia. The reception will take place during Woodstock’s First Thursday event. On display and for sale will be numerous farm-inspired paintings, drawings, and photography, all created the local artists of the Valley Educational Center for the Creative Arts. John Adamson and I will be on hand to discuss the Historic Barn Program, John’s massive barn survey, and our efforts to raise awareness and funds for our county’s valuable, historic resource. Donations accepted! So many of my emails are about the business side of my art practice—what shows are coming up, who purchased a painting for their collection, what gallery invited me to join them. But not many are truly about art. Today feels like the right time to share a little about being an artist. It’s been some seven years since I decided to seriously pursue art again. This was after a long hiatus from my artistic identity, formed as a child and developed later at Syracuse University. I made a decision to try to reclaim the title of artist. It didn’t come quickly, but little by little, confidence slowly grew, and it is still difficult to believe, but I think I might be one now. What does being an artist really mean? The answer is richer than one could imagine. For me, It means I finally have a voice. There is nothing more powerful than making your unique mark on a canvas, paper, or board. In today’s art world, any artistic assertion is a valid one. It’s been a long time since artists have had requirements for representation or rules for illusionary accomplishments. Art can be virtually any manifestation you desire. BUT, you must assert yourself and develop your metaphorical thesis, then build on it and defend it. It matters not what you say, but that you say it with strength and clarity. Then you keep saying it until others can also understand and see clearly what you only had inklings of years ago, what you only had glimpses of before it manifested into your own visual language. The type of joy that comes when you finally tease out this statement is something most people have never experienced. Because being a creator is unlike anything else in the world. As an artist I am developing the voice to say anything I want to say. The only requirement is that my statements originate fully from within my own being. This is what I have been doing these past years—in the studio, out on the road, traveling through countryside—pondering life, the universe, humans, and nature. Then I throw it all together and say what I want to say. Thank you for listening. Nothing could be more gratifying. Surprise! 30% off my paintings at Anne Neilson Fine Art! Not one day after sending the last newsletter, one of my galleries, Anne Neilson Fine Art announced a 30% off sale for THREE DAYS ONLY, January 24-26! I have never seen this happen, so it is a rare opportunity to purchase my work at such a huge discount. And to join the party, I’m also offering 30% off on works directly from my studio for these three days! The seven pieces at ANFA are shown here. For inquires about these paintings, please contact Anne Neilson Fine Art at 704-496-9181 or info@anneneilsonfineart.com. You can talk to Koren or anyone else there—they are lovely people and all very nice to talk with! For inquires on any other paintings you might be interested in, please contact me at 540-325-8095 or sally@sallyveach.com. You can view all my paintings on my website, and see what is available! Just FYI, my prices correspond with the gallery’s prices. I am excited to pass along this opportunity, and love thinking how it might benefit a collector. It's Final: Solo Show at the Museum of the Shenandoah Valley for "Barns of Shenandoah"! I am truly honored (and can now officially announce) that there will be a solo show of my paintings at the Museum of the Shenandoah Valley, Winchester, VA. Opening July 13, 2019 and running for about one year, the show will focus on my Barns of Shenandoah series. Various barn-inspired paintings from different stages of the series will be exhibited, and the Shenandoah County Historical Society plans to include background material on my inspiration: the actual barns of Shenandoah. I am inspired by the landscape of the Virginias. The barns are an essential part of the landscape in Shenandoah County, VA and they have come to symbolize for me the intersection of Man and Nature. The barns of the Shenandoah Valley are on the 2018 list of Virginia’s Most Endangered Historical Places by Preservation Virginia, a Richmond organization of great repute and history. It is my hope that this show, as well as sharing my work with the region, calls attention to Shenandoah County’s valuable, historic resource. A circa 1814 barn in Shenandoah County. Even though the barns are quickly deteriorating (more are lost every year) it is estimated that there still are about 1000 barns standing, including many in structurally sound condition. You can read more about the barns, and the historic survey that is being conducted by John Adamson, on the Historical Society’s website. The nature of our historic barns makes them endangered. Their small size, their natural materials, and the disappearance of subsistence farming has made them obsolete. It is only because of the love and reverence for our barns and the hard working, pioneering heritage they represent, that we still have them at all. Case in point: they do not get torn down—they fall down. Built to last, they are a beloved symbol of a bygone era, hearkening to the Germanic immigrants who settled this land, most with the same names of folks living Shenandoah County today. Furthermore, our barns are unique! The sheer density and historic age of the county’s barns are truly remarkable. If our community (with help from those living elsewhere too!) endeavors to intervene and prevent the eventual disappearance of the barns, we will have a unique, rich, historic treasure to claim for many years to come. If we do something, decades from now a source of wonder awaits—for residents and visitors alike. I have a vision for the awareness, cultural identity, and philanthropy needed to save Shenandoah County barns. Barn owners need help, and a way to provide financial assistance needs to be found. The barns are historic, financial burdens to barn owners. Helping barn owners helps us all by preserving these cultural symbols of our county’s heritage. If we intervene, years from now Shenandoah County will be one of the few places where historic barns can still be seen. What a joy it will be to continue to live among those majestic sentinels, symbols of what these early immigrants wrought. If you or someone you know would like to assist in these efforts, please forward this email, contact me or the Shenandoah County Historical Society. Museum of the Shenandoah Valley Acquires Painting / Small Works Available for the Holidays! It is such an honor to announce that the Museum of the Shenandoah Valley will purchase my painting Harvest Ghost as part of their permanent art collection. This painting refers to the disappearing, historic barns that grace the Shenandoah Valley, and the stories they tell about the lives those who worked within them. It is amazing to be represented there and I am filled with gratitude! We are also finalizing some other plans that I hope to be able to announce very soon. Harvest Ghost by Sally Veach, Oil on Canvas, 36” X 36”. This time of year, people are looking for that special gift—often for the person who has everything. Perhaps one of these small paintings will delight someone who admires art! You can inquire through Anne Neilson Fine Art, The Haen Gallery, or me. These paintings are framed (sizes are excluding the frames), less expensive than my large paintings, yet they still make a big impression! Examples of the silver leaf and black frames. Silver leaf is meant to be slightly distressed. If you would like to see how a painting looks in its frame, let me know and I can send you a picture! Hello and Happy Thursday, all! A few weeks ago, I was interviewed by my gallery, Anne Neilson Fine Art for a feature on their blog. So happy to share this with you! We are so excited to be representing Sally Veach, a new artist to Anne Neilson Fine Art Gallery! She is a fellow mountain dweller from the Shenandoah Valley of Virginia, and has truly been a joy to get to know. She’s a passionate, innovative artist who expresses herself, her thoughts, ideas and inspirations not only in her words written here, but also in her expressionistic paintings. Her work is especially meaningful as her Barns of Shenandoah series depicts “the tragedy of historic barns and the fact that they are slowly returning to nature”. The preservation that occurs by making these paintings is the essence of the artists surroundings; the beauty, color and energy that occurs within nature. Her depictions thrill the viewer with the way air and earth come together to move nature, and also allow it to reclaim. Barns come from trees that belong to the soil, and in turn barns rest upon that soil, that ultimately takes back what is theirs. Read on to learn more about Sally Veach: as an artist, her likes and her life! Phase one of my art career started as a teenager when I began to complete commissions, earned a BFA in Illustration from Syracuse University, and continued in the graphic arts for a few years after graduation. Phase two began about five years ago, when I reconnected with my artist identity and started my current, fine art practice in painting. How long have you known you wanted to be an artist? I knew I “was” an artist from about age 11. There was no question in my mind about “wanting to be”! About five years ago, I then made a decision that I “wanted to be” an artist! Sometimes it’s a strange, topsy-turvy world. Describe your artistic process and preparation. 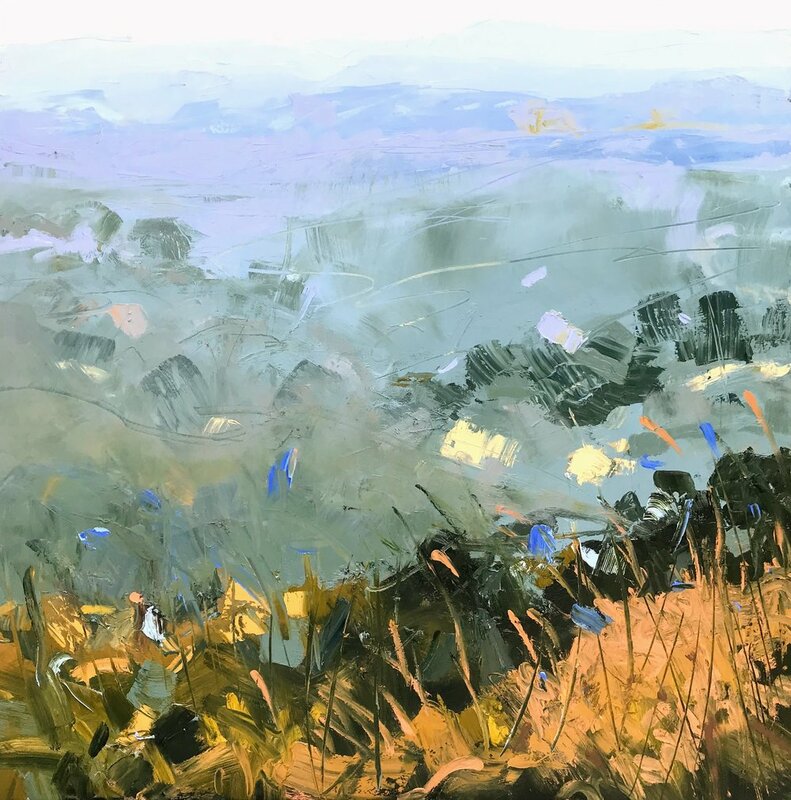 My artistic process begins with the intense observation of, and inspiration from the natural landscape surrounding my home in the Shenandoah Valley of Virginia. The amazing of colors, energy, and atmospheric perspective of our natural world get quickly recorded with my cell phone camera. There are thousands of photos available to rekindle my memories. I don’t refer to the photos for reference but use them to jog my memory of what was interesting about the scenes. This almost always has to do with color. So, when I begin a painting, the colors and a basic idea of compositional design serve as the beginning structure. From there the work takes a course of its own, and I enter a spontaneous period of adding and subtracting elements until I can see a pathway developing. I’ll continue down that path until there are no more unresolved aspects of the composition, and the painting communicates what I am trying to express. My favorite piece currently is “Solstice 2”. 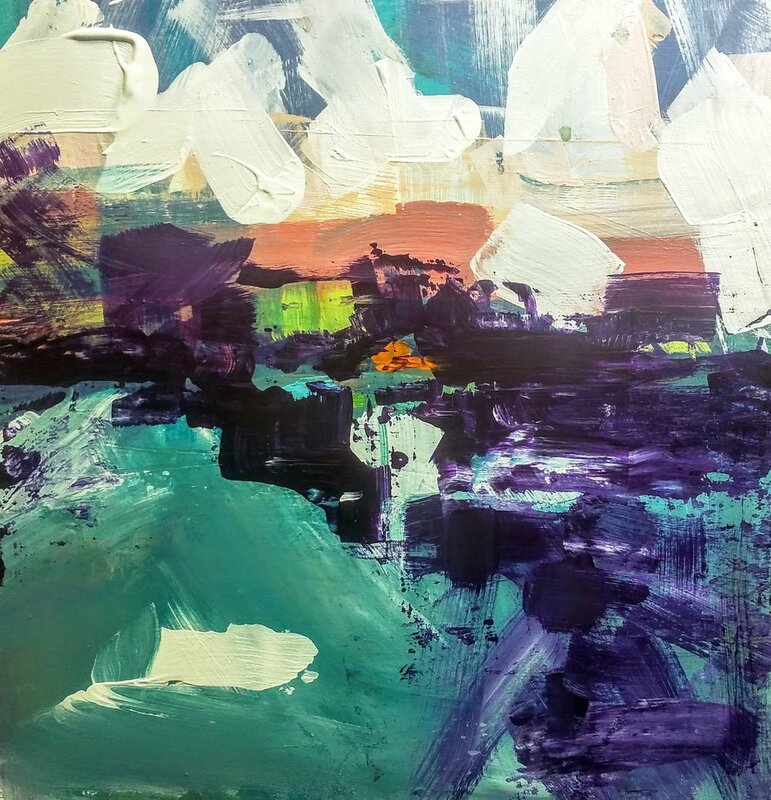 I love this painting because it most successfully communicates the colors, gestural expression, and style of working that I am anxious to continue exploring. I feel it is the most “me”! 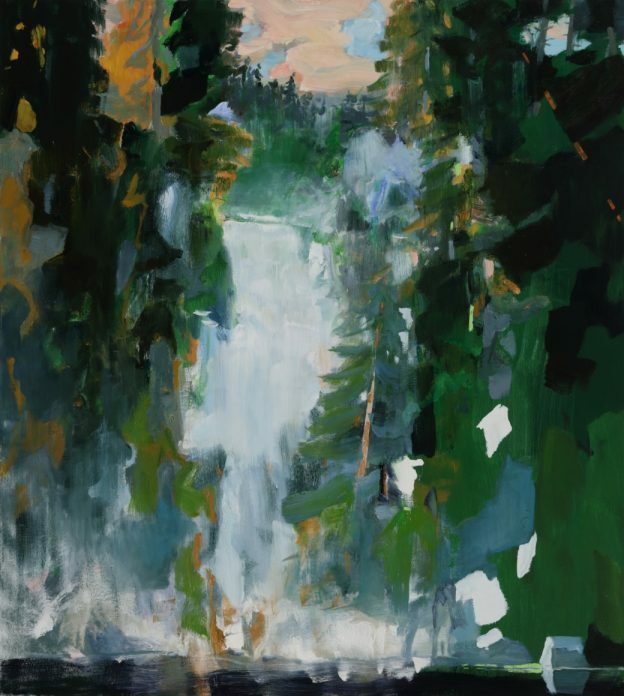 I am inspired and influenced by the work of Eric Aho, a contemporary, abstract landscape painter from Vermont. I also love the work of Cy Twombly. I believe it is the gestural, fresh expression inherent in Twombly’s work that is so intriguing to me. He also practiced right down the valley from me in Lexington, VA. Personally, I am inspired by my mother who is just now retiring from professional life at the age of 92. At my age of 56, I hope I have that many more years to grow and develop as an artist! What challenges do you think exist in the world of fine art? There is a conflict between the personal expression of an artist and the business of selling the work. 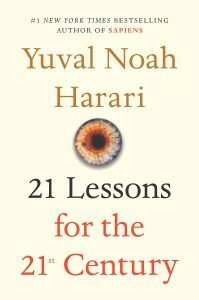 How do you approach/overcome them? I resolve that conflict by recognizing that the final step in art is communicating with the world by sharing your work with others. For patrons, the act of collecting art is a wonderful, built-in step that completes the process of being an artist. But the first order of business is producing pure, authentic work. The two realms have a symbiotic relationship, but I am careful to focus on exploring my personal interests and inspirations first. If an artist does not keep this priority, then the work becomes contrived and shallow, and by default less compelling to the collector. Professionally, my biggest accomplishment is being offered an eight month show at the Museum of the Shenandoah Valley in Winchester, Virginia, which is tentatively planned for 2019. This show will feature my series, Barns of Shenandoah,and is about the endangered, historic barns of Shenandoah County, VA. I have partnered with our local historical society and we are forming a group focused on raising awareness of and preserving the historic barns of Shenandoah County, VA. I love that I have found a great way to contribute to my community through donating a portion of all barn-related paintings to the historical society. Ironically, my art practice is probably also my biggest, personal accomplishment. It was difficult to “face the demons” when reconnecting to the identity of an artist, and to believe that I was worthy to attempt a career in art took a lot of positive self-talk. It goes to show, dream big and persist! Favorite location to paint/what is your studio like? I love to paint in my studio, which is in a room above the garage in our home. It has become a refuge, a place belonging just to me. It is often messy but I know where everything is! I’m kind of a contradiction. I love to play golf but sing opera. I love to learn nerdy facts but love to get glammed up for a night out too. Favorite place to vacation? And/or dream trip? My favorite place to vacation is the ocean, or any large body of water. My dream trip would be a cozy cottage on a private stretch of natural beach. Even though I love the mountains, my vacation would be to the beach. What would you be doing if you were not an artist? My two grown children and my husband of 30 years. If you could switch lives with anyone for a day, who would it be? Not sure, except that it would have to be someone who never has self-doubt and was free from existential anxiety, lol. But probably, that person does not exist! My all-time favorite artist is Eric Aho. I’d have to say that my favorite emerging artist is William McClure, who is also represented by Anne Neilson Fine Art. My dream commission would be monumental painting for a large public space or office building. But I’d have to find a bigger studio first! I want my audience to know that every time I paint, I am channeling the beauty and awe of nature through a filter of the anxiety of modern life–the human condition, you could say. My message is: Look Up, Remember to Notice Beauty, Remember to Find Joy. 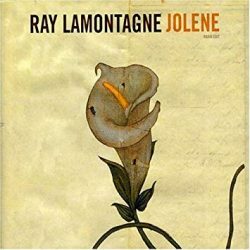 Nature is a poultice for all that ails us and is free for all. I believe my work is unique in that I use traditional concepts of landscape color theory and composition combined with an abstract expressionist method. My paintings are landscapes, but very much on the verge of pure abstraction, and I strive to make every mark free with the energy of my body and not contrived or controlled. Within the next five years, I would like to achieve a level of confidence in my painting expression to the point where each foray onto the canvas is an act of joy free from self-doubt. And I would like to be part of the conversation in the larger art world. 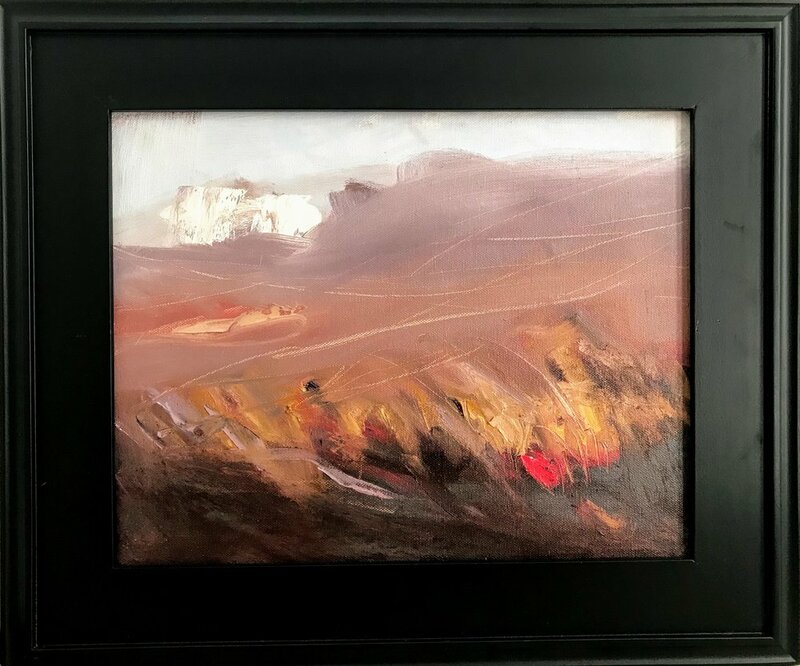 Come visit us at ANFA Gallery to view some of Sally Veach’s available works, and check out https://www.sallyveach.com to learn even more about this wonderful woman and look at her entire breathe of work! Hello and Happy Friday! It is so exciting to announce that my painting, Cloud Five, was purchased by the City of Alexandria, Virginia, and will be hanging in their courthouse in Old Town. Cloud Five was completed in 2016 and is in the medium of acrylic. I worked exclusively in acrylic for about a year, and there were many aspects about it that I liked. Acrylics are easily thinned down, and this consistency lends itself to the expressive, gestural mark-making that really resonates with my need for kinetic expression. But after a while, I became frustrated with other aspects and switched back mainly to oils. But I do miss that fluid characteristic. Although oil paints can be thinned, I don’t really like using mineral spirits and haven’t yet found that magic formula from the different thinning mediums available. As far as color though, nothing beats a high quality oil paint like the Williamsburg brand that I use. And color and how we perceive it in the landscape that we live in, is of equal importance to me as gestural expression. Looking at Cloud Five, I see a lot of similarities to my 2018 Landscapes. This makes me happy—there is a common vein traveling through my work in different mediums and the span of time. It is gratifying to know that a cohesive body of work is growing and that it speaks to who I am as an artist. Above all, my paintings are about what is important to me: primarily our natural world, and secondly, ourselves and how we fit into it. When you think about it, just the act of making a landscape painting is a commentary about Man as well. Man lives in nature, but we also are separate from it, and one of the many indicators of this is how we choose to be a spectator of our environment. Our spirituality is the second reason. I suppose this all has to do with a higher consciousness, that sets us apart from all other living beings. Funny thing is, I wonder what creatures are secretly laughing at us, those silly people who think they are at the pinnacle of life. There is so much we don’t know… Sigh! Thanks for reading. I hope future posts will be more about my painting process. And again, please be on the lookout for an incredible announcement! There is something in the works that is really monumental (at least to me)! Hoping to get the final confirmation next month. Take care, and enjoy this beautiful fall! A selection of my paintings at Ann Neilson Fine Art in Charlotte, NC. Hello! I hope this finds you well as we enter Autumn 2018! In February of this year I wrote to you that I was looking towards gallery representation, and it has happened! I am so pleased to announce representation by Anne Neilson Fine Art in Charlotte, NC, who has seven paintings in stock. In addition, The Haen Gallery in Asheville, NC has two of my paintings for sale for a limited time: The Tangle and Shroud! Both galleries are well-respected establishments, promoting the appreciation and acquisition of high quality, contemporary art, and are very friendly and approachable. If you are interested in any of my paintings, I encourage you to reach out to either of them via their website or by phone, and, of course, stop by if you are visiting. Asheville is an incredible destination, by the way! You should go! This is a major step in my art career, and I am so happy to be taking it. And there should be an even more exciting announcement to hopefully tell you about soon! Barn Meeting Tomorrow, August 21! You've been hearing a lot from me lately, but there is one more piece of news that is important for those living near Shenandoah County, VA. It's also very dear to my heart! The Shenandoah County Historical Society and I are holding a meeting tomorrow, Tuesday, August 21, 7:00 pm, at the Historic Shenandoah County Courthouse. (Use the side entrance on Court St.) This organizational meeting's purpose is to give and get information concerning the historic barns in our county, and sign up anyone interested in helping with our efforts. Earlier this year, "The Barns of the Shenandoah Valley" won a nomination from Preservation Virginia as one of Virginia's Most Endangered Historic Places. This effort was spearheaded by John Adamson (SCHS board member and barn program manager) and me. The nomination validated our concerns regarding the importance and threatened status of our county's barns. This meeting is the next step along the path of championing our county's barns. John will give a short presentation about the barns, and Sonja Ingram from Preservation Virginia will share with us her experience with their organization's Tobacco Barn Program after Virginia's tobacco barns received the same nomination. Within a period of about five years, their efforts raised awareness and involvement from the community, eventually attracting an on-going, corporate, philanthropic foundation which grants individual tobacco barn owners funds for restorative maintenance. My dream is that one day such philanthropy will occur here (in one form or another!). I will also have a couple paintings there, sales of which I contribute 20% to SCHS. Barn owners need help maintaining their barns if we are still to have them a generation or two from now. The SCHS Barn Program is seeking to support barn owners in any way we can. A list of ways to help include barn maintenance education/information, resources for professional contractors/craftsmen, community involvement through public programs, and the encouragement of donations from interested parties. Already in progress is an extensive barn survey led by John Adamson. We are looking for more ideas and volunteers to help in this effort! So please come! 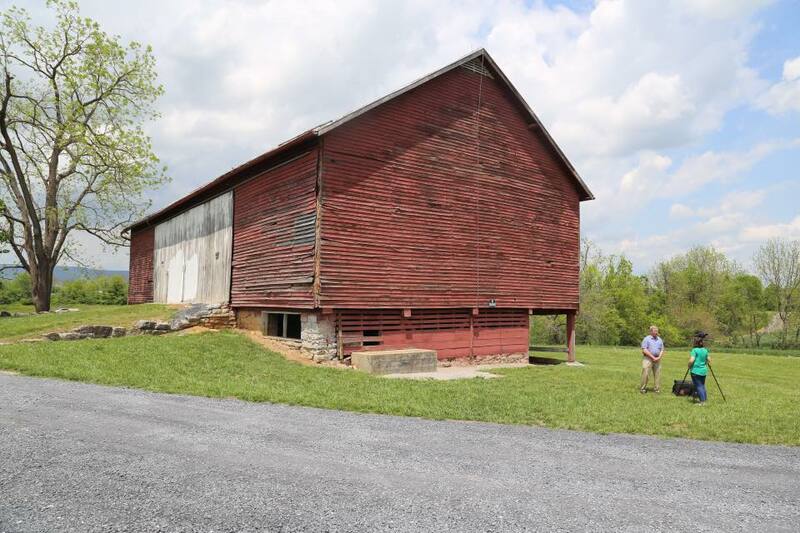 It is time to decide what we want to happen to Shenandoah County barns. They shouldn't go quietly into the night, at least not without our community's conscious consideration. This requires us to ask ourselves: do we want our historic barns to exist in Shenandoah County fifty years from now? For economic and civic reasons of community identity and pride, I believe the answer is YES. Shenandoah County should remain a special place, as it is today. In my opinion, a historic barn that has survived 150 years can and should have a chance to remain standing for 100 more. Hopefully though our efforts, Shenandoah County will enjoy at least a portion of our beautiful, majestic barns, that speak clearly of our heritage, generations from now. PS. Click here to read more about my involvement with our historic barns and how I got interested in them. Solstice 3, Oil on Canvas, 30" X 40"
A New Show and Other News! It has really been an incredible year. So much has happened--well, I made it happen! (Come on girl, take credit where due ;-) And there's more to come! Two Solo Shows Going on Right Now! If you haven't had a chance to visit the two solo shows that are going on now, and you're able to before the end of July, please take a little time to stop in at Muse Vineyards in Woodstock, VA and Larkin Arts in Harrisonburg, VA. Both shows feature the Barns of Shenandoah paintings, but each are curated to provide a very different viewing experience. The show at Muse has my large, oil paintings, including a couple 2018 Landscapes. And the show at Larkin Arts features mostly acrylic paintings--some large landscapes from 2017 and several smaller Barns of Shenandoah pieces--that fit the venue very well. Of course, 20% of my proceeds from any barn painting is donated to the Shenandoah County Historical Society's barn program. You can read more about that here! And now...one more show! July 31 through August, at the Lost River Trading Post's Grasshopper Gallery in Wardensville, WV! Have you ever been to Wardensville? It is a very cool, little, up-and-coming town just over the Virginia border, at the entrance to Route 48 (what we call Corridor H). It's becoming a sophisticated oasis in the Eastern Panhandle of West Virginia, near Lost River State Park. I love to stop at the Trading Post to get my espresso drink every time we drive through, on our way to family land in West Virginia. And they have a huge gift shop with lots of cabin decor, and of course the gallery. Solstice 2 by Sally Veach, Oil on Canvas, 36" X 36"
Solstice by Sally Veach, Oil on Canvas, 30" x 40"
Resurrection 4 by Sally Veach, Oil on Canvas, 36" X 36"
Of course Solstice 3 (top of page) will be there too, and more! Did I mention yet that I was wait-listed for the prestigious and competitive residency program at the Virginia Center for the Creative Arts in Amherst, VA? This was such an honor and very validating. The summer is almost over, and I haven't been called up yet, so it's looking doubtful, but just being wait-listed is very exciting! I'm already making plans to apply next year. For those of you who don't know, an art residency is a place where artists can go for an extended time to focus solely on their art. As always, if you have any questions or comments, please feel free to reply to this email. "Sally Veach, Barns of Shenandoah & More"
Returning to Nature, Acrylic on Canvas, 24" X 24"
Cloud Seven, Oil and Mixed Media on Canvas, 34" X 40"
"Sally Veach at Muse Vineyards"
The Gathering Storm, Oil on Canvas, 36" X 48"
Resurrection 2, Oil on Canvas, 36" X 36"
It's been a very busy year, with so many developments and lots of painting! Since January I've created 26 paintings and sold 17! I've had five solo shows! I was able to donate over $1600 to help save Shenandoah County's barns, and am working with the Shenandoah County Historical Society to develop a robust barn preservation program! I am having conversations with galleries and a museum, too! Looking forward to many more years of ART. And hope to see you in July! Red Clover 3, Oil on Canvas, 11" X 14". One of several new paintings available at Belle Grove, June 20-14, 2018. Sorry for two emails in one day, but each announcement deserved separate billing! Belle Grove Plantation in Middletown, VA is hosting a fundraiser art show and art weekend June 20-24. My paintings and the work of two other local artists, Kelly Walker and Wayne Laws, will be exhibited throughout the historic mansion. It will be a treat to see this beautiful, historic house filled with art! I have created several smaller paintings specifically for this show. Also exhibited will be smaller sized paintings from my 2016-17 bodies of work. And I'll include a couple of my larger Barns of Shenandoah/Landscape works. Come and see them, and enjoy the events taking place throughout the weekend! There will be a Meet the Artists Party Saturday, June 23, 5-8 PM. Tickets are $25 for appetizers, wine, beer, and live music from Bill Foster and Don Crigler. Take an art class or attend a painting party with Kelly Walker, watch Wayne Laws at work, during the weekend. Incidentally, there is an active archaeological dig occurring on the property, for the plantation's slave quarters that you can also visit. Exhibition Open: Wednesday, June 20-Saturday, June 23: 10 AM - 4 PM. Sunday, June 24: 1 - 5 PM. Meet the Artist Party: Saturday, June 23, 5 - 8 PM, ($25). Cloud Five by Sally Veach, Acrylic on Canvas, 30" X 40"
It is a pleasure to announce that one my favorite paintings, Cloud Five, has been selected as one of ten finalists for the City of Alexandria, VA Purchase Award! Cloud Five was chosen from a field of 144 artists, each submitting up to five paintings. The ten finalists will hang at City Hall until the end of September, when the final decision will be made for which painting the city will purchase. Cloud Five is also featured on a traffic control box wrap design in Woodstock, VA. It has been a popular painting since it's creation in 2016! If you're up in Alexandria in the coming months, stop in and take a look at Cloud Five and the other finalists! Barns of Shenandoah Project and Preservation Efforts a Success! We made the list of the eleven most endangered places in Virginia! It's time for an update on what is going on with my Barns of Shenandoah project and work with the Shenandoah County Historical Society. First off, there have been sales from two shows and direct from my studio, which made it possible to present two checks to the Shenandoah County Historical Society's Barn Program for a total of $1,657.10! So far, eleven paintings have sold, and the amount donated represents 20% of my proceeds. So a big thank you to all who have supported me and this effort to raise awareness and funds to support the barns of Shenandoah County! The other excellent news is we got the nomination for one of Virginia's Most Endangered Places from Preservation Virginia, the oldest statewide preservation organization in the country! It was hard to keep this news a secret for a couple weeks. 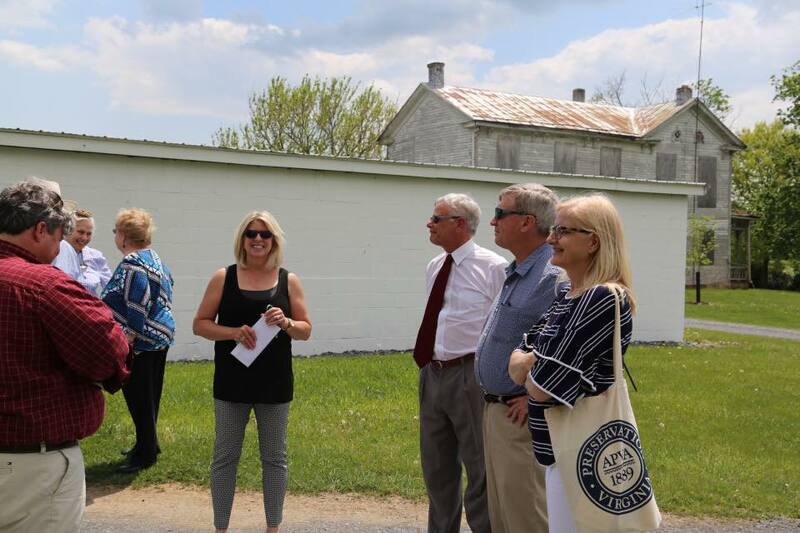 Finally, on Tuesday, May 8, the exciting day came, and representatives from Preservation Virginia traveled here to make one of two on-site announcements of the list of ten nominated places. We are so grateful to this venerable organization from shining a light on our historic barns! This event should be a great shove to get the boulder rolling towards eventual fundraising and hopefully real assistance for barn owners. It has been gratifying to possibly make a lasting difference in the future, cultural landscape of our valley home. The Shenandoah Valley is so unique in regards to barn architecture and number of surviving, historic barns. We estimate there may be over 1000 traditional barns still standing, dating from the late 1700's up to the 1950's. Many, many barns date to right after the Civil War, making them around 150 years old. And we are finding more and more log barns in out of the way places, and also covered by siding, than we thought existed. Chances are good that a log barn will be at least 200 years old, and a handful are considered or documented as from pre-revolutionary war years! I am asking folks to consider this question: Is the continued existence of old barns in Shenandoah County is important to you? The barns of Shenandoah County are a symbol of our cultural heritage: hard work, independence, and enterprise. They contribute to the unique, visual identity of our rural landscape, an intangible yet powerful testimony to the families that lived and died while establishing Shenandoah County. They also speak to "from whence we came", through the unique Swiss and Germanic architecture that exists only here and areas in Pennsylvania where the early settlers first lived. We are also looking for grant opportunities and qualified craftspeople to work on barns. And John Adamson of the Historical Society is currently working on a large scale survey. His goal is to eventually document ALL of the barns in Shenandoah County. Above all, please spread the word! Let's decide what we want to do about our barns. Please visit the Shenandoah County Historical Society's website and click on the barns brochure link (on the right hand side) for more information about the Barn Program. To make a donation, mail a check to Shenandoah County Historical Society, PO Box 506, Woodstock, VA 22664, and write "Barn Program" in the memo. To have your barn surveyed, please email John Adamson at adamsons@shentel.net or call 540-975-2240. Please view my latest Barns of Shenandoah paintings below and photos from the announcement. Returning to Nature 2 by Sally Veach, Oil on Canvas, 36" X 36"
20% of Proceeds Goes to Support Shenandoah County Barns! The Shenandoah County Historical Society is a 501c3 Organization. Resurrection 2 by Sally Veach, Oil on Canvas, 36" X 36"
Spring Rising by Sally Veach, Oil on Canvas, 36" X 36"
I was asked to bring a painting to the announcement ceremony. This is Returning to Nature 2. Barbara Adamson, left and John Adamson, right, Introduce Justin Sarafin of Preservation Virginia at the VIrginia's Most Endangered Announcement in front of the barn at Woodstock's Fairview Park. The town of Woodstock is considering converting the barn into an event space. If you would like to see this happen, contact the Woodstock Town Office. Getting ready to present my check! We had a pretty good crowd. John Adamson of the Shenandoah County Historical Society being interviewed by WHSV-TV of Harrisonburg, VA. This is the barn at Fairview Park in Woodstock. "Ressurection", Acrylic on Canvas, 30" X 30"
Hello! Exciting news this month! Read all about it! My Barns of Shenandoah series will be exhibited in April at the Barns of Rose Hill in Berryville, VA. The opening reception is Friday, April 6, starting at 7:00 pm, and the show runs from April 6 to 28, 2018. It would be an honor to see you there! I really appreciate your support for my barns series, and this month I will have several new pieces. There will also be a bluegrass concert, featuring Buds Collective with BBQ and beer, starting at 8:00 pm. You can attend my opening reception for free, and then go upstairs to enjoy the music and BBQ afterwards if you like. Tickets for the music event are available at http://barnsofrosehill.org/event/bluegrass-bbq-series-featuring-buds-collective-sally-veach-exhibit-opening/. I will not be giving an artist's talk this time but am happy to talk individually with folks about my art, and the inspiration and creative process. The second exciting item is my upcoming representation at Glave Kocen Gallery in Richmond Virginia! Jennifer Glave, her husband BJ Kocen, and I are very excited about this new partnership that is only just in its early stages. I will be commencing a new body of work soon that will be destined for Glave Kocen, so look for more news this Spring and Summer regarding my contribution to their offerings! It is very exciting to think about the further development of my work resulting from association with BJ and Jennifer. They have been dedicated contributors and supporters of the Richmond art scene for over ten years. If you're in Richmond be sure to stop in and see them! It is so gratifying to be able to present the Shenandoah County Historical Society a check for $896.10! This donation is from the proceeds of my Barns of Shenandoah paintings, of which 20% is designated to SCHS's barn program. These funds will help support the documentation and preservation of our historic and traditional barns in Shenandoah County, Virginia. I will present the check tomorrow evening (Wednesday, March 28) at the SCHS meeting: 7:00 pm, St. Paul's Heritage Center, 106 S. High Street, Edinburg, VA. Please consider giving a donation as well! John Adamson will present "A Survey & Documentation of Shenandoah County Barns". During the reception afterwards, we will have a small selection of barn paintings on display. Please come and get more informed about our barns--a unique and endangered, historical resource here in Shenandoah County! And finally, the Historical Society has applied for one of Virginia's Most Endangered Places designation from the Richmond organization Preservation Virginia! Preservation Virginia is the oldest, statewide, historic preservation organization in the nation. Founded in 1889, they are instrumental in the preservation and revitalization of many notable, historic locations in Virginia, including Historic JamesTowne. We will find out in May if we get the designation so stay tuned! See you soon! And Remember to Notice Beauty and Find Joy! Night of the Shenandoah, Oil on Canvas, 36" X 72"
I hope this finds you well, and looking forward to Spring in so many ways! I wanted you to know that I may have gallery representation soon--the next step in my art career. It's been so gratifying interacting directly with collectors and exhibiting in shows over the last two years. But while doing some gallery research in the Mid-Atlantic to South-Eastern region I have received some very encouraging feedback. And the paintings are piling up in our house, so much that soon there will not be enough space for them all! I want to keep painting, so it is only natural that a bigger art market needs to be accessed in order to do so. And this is the reason for the heads up. I know many of you are contemplating purchasing a painting, but haven't acted on it yet. I do have a gallery interested in my work, and if they decide to take some paintings, the prices will go up. Curators from galleries in Richmond and Charlottesville, VA --not too far from me--have told me that my prices are about half of what they should be in their markets. So, I don't want anyone to be heart broken by being caught unawares, and lose their chance! Above all, I appreciate the support you have given me so very much, and so happy that you have given a home to many of my paintings. It thrills me to think of the happiness my art may bring to others. Ultimately, the final step in an art practice is to place the work where it can be viewed and appreciated by others, whether that is in someone's home, a gallery or museum, or a public or business space. I have so much more, and sitting in my home does not suffice! Please feel free to contact me if you would like to discuss a particular painting. Thank you so much. Wishing you all the best! Look up! Remember to find beauty and joy! 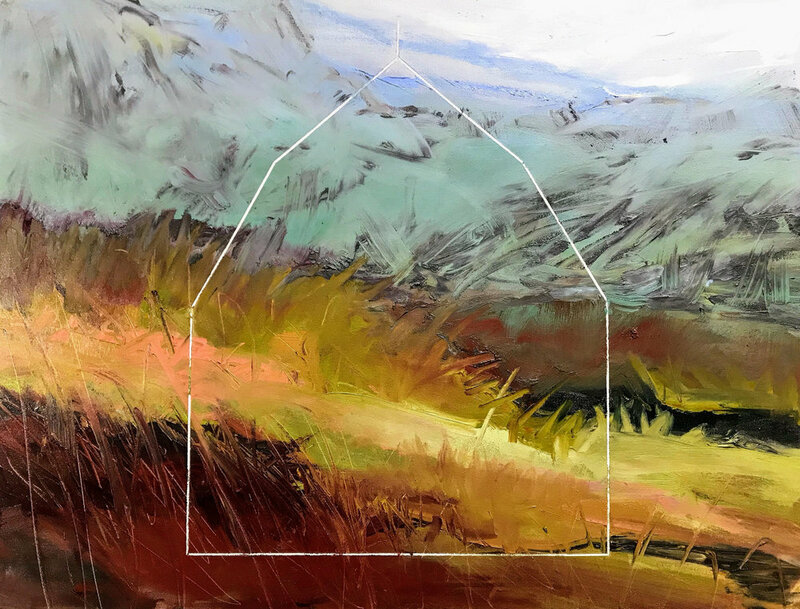 Correction to Barns of Shenandoah Opening Reception! There is a correction to the times for the opening reception at The Delaplaine exhibition in Frederick, MD, on Saturday, Feb. 3. My artist talk will take place between 2:00 and 3:00 PM. The reception will then run until 5 PM. Artist Morgan Craig will also be presenting work in an adjoining galley. We will both talk during the hour. His work is fabulous, by the way! It will be interesting to hear his talk as well if you are interested in artists' processes and inspirations.